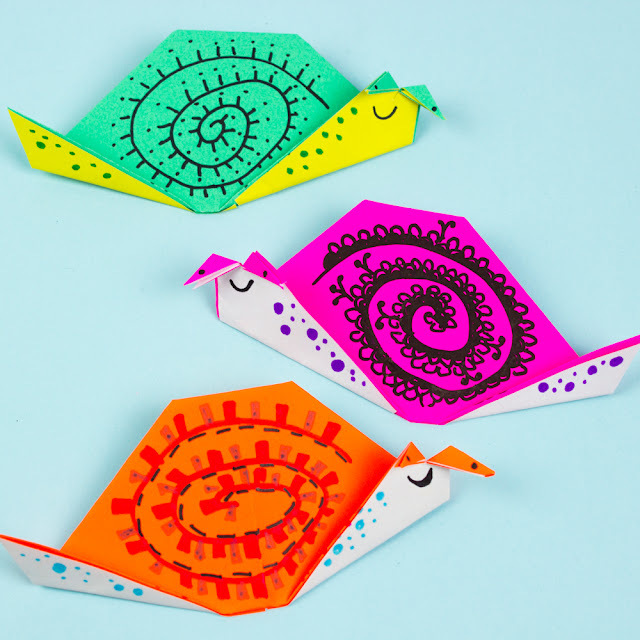 Looking for the cutest origami summer craft ever? I recently signed my son up for swimming lessons and realized... oof! Summer is right around the corner! That means that it's time for... summer crafts! Woo hoo! 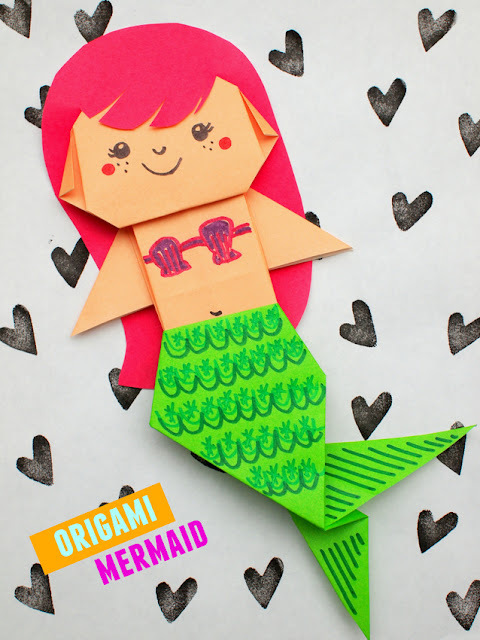 And what better way to inspire some summer crafting.. then this uber cute origami mermaid? Yup. 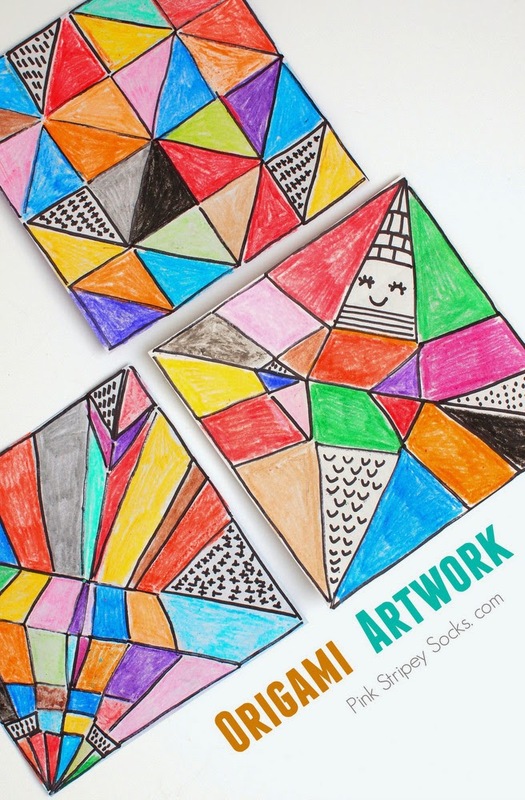 Put this craft on your summer-to-do list! It's a must for all mermaid-loving kiddos! How to Fold an Origami Mermaid! So I'm jumping upon the back of the beautiful unicorn bandwagon! (Neigh! Neigh!) 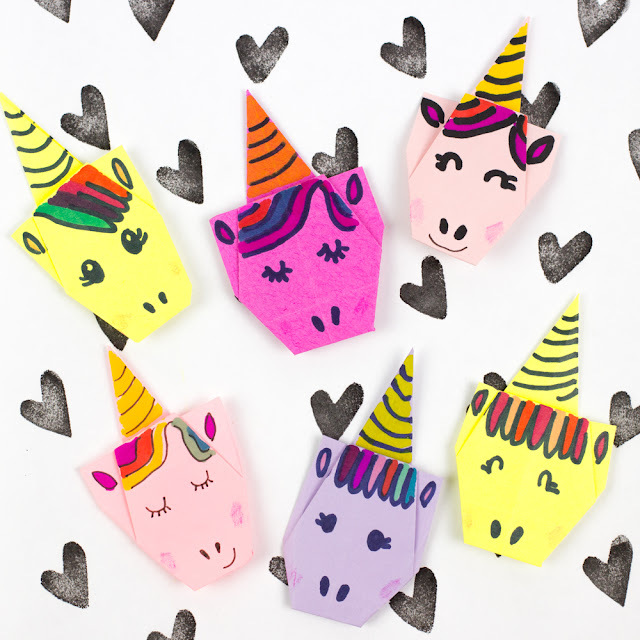 Here's my take on an easy unicorn craft.... here's a simply adorable origami unicorn that you can make with all your unicorn-loving kids too! Let's Make Some Easy + Uber-Cute Origami Unicorns! 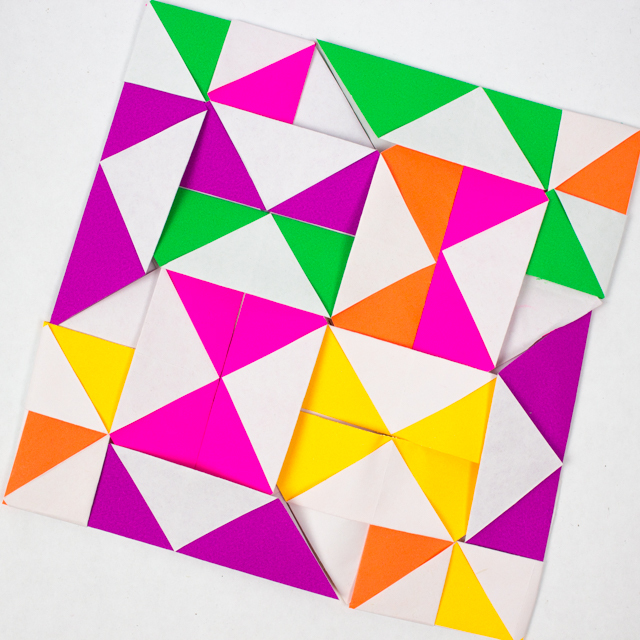 Here's a super quick and easy origami craft that's perfect for spring or summer! Lately, we've been bitten by the gardening bug. My youngest and I keep sticking things into the dirt to see if they'll grow. My oldest is not as keen on gardening as we are, but he loves folding origami. So today I'm sharing how to fold these really easy and fun origami snails. If you love cute origami projects, you'll love this easy Halloween-themed origami. 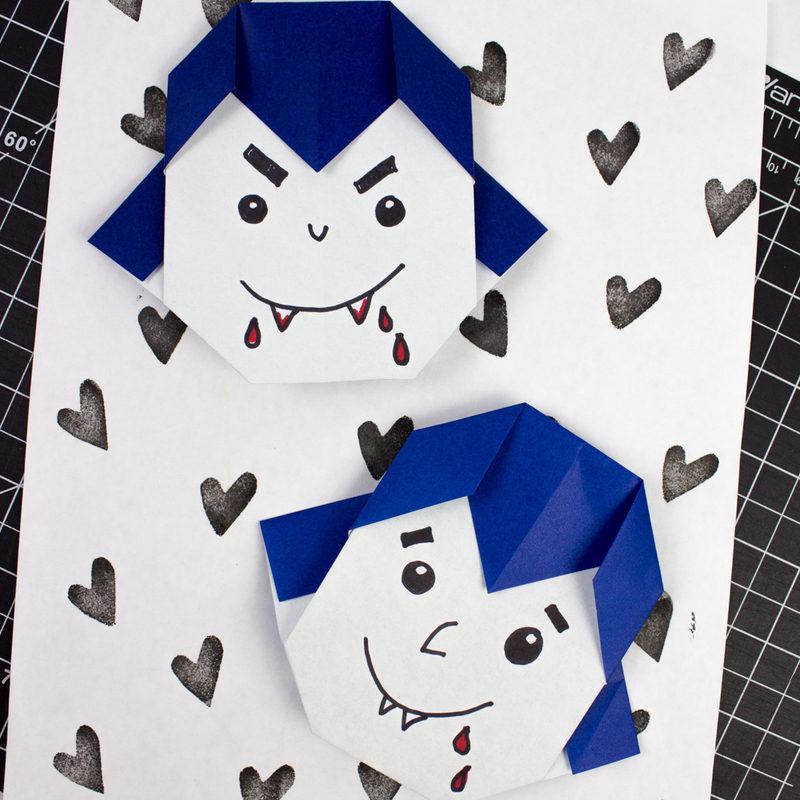 We're folding origami vampires! We love origami crafts! There's something about seeing a piece of paper transform step-by-step into something really magical. 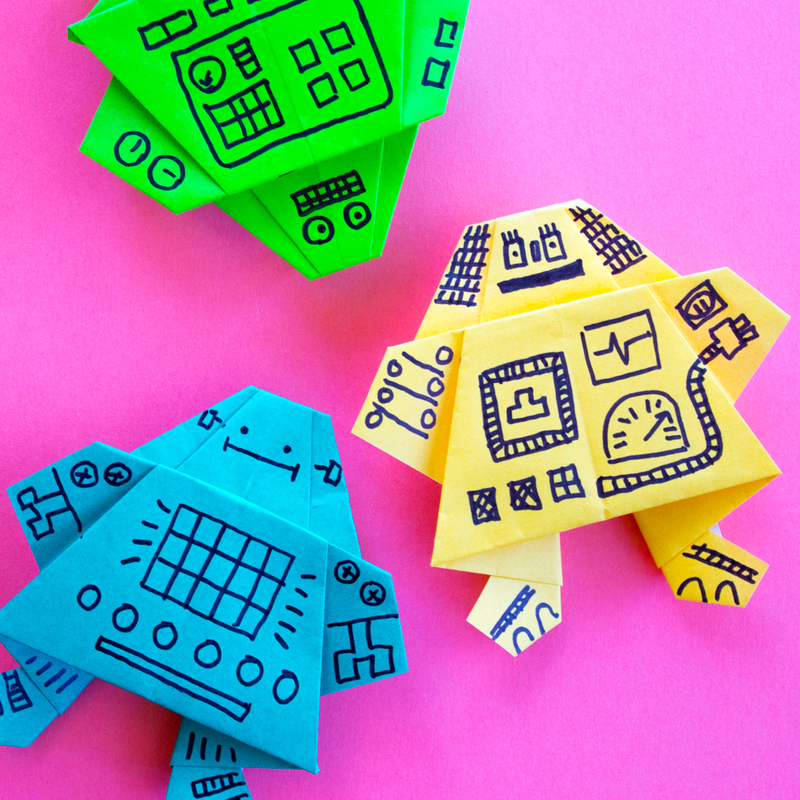 Recently we made these origami robots and I thought they were so cute that I had to share them here! If your kid likes transformers or robots, this is the perfect paper craft for you. Lately I've been in the mood for easy Halloween crafts. 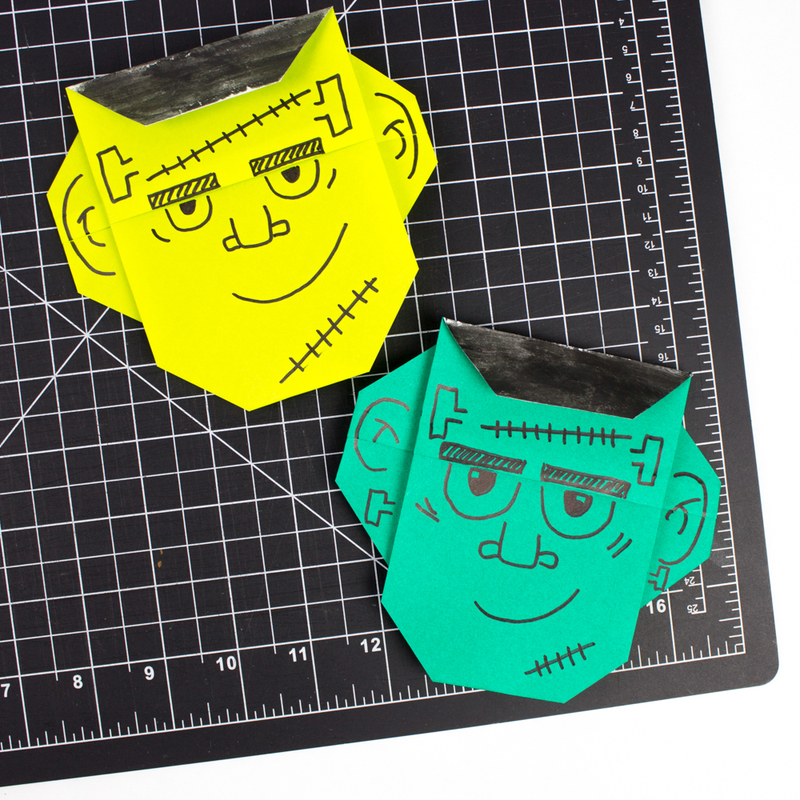 Recently I tried my hand at making this neat Frankenstein origami craft. The results turned out so cool (and the actual folding was sooo easy) that I had to share it with you! 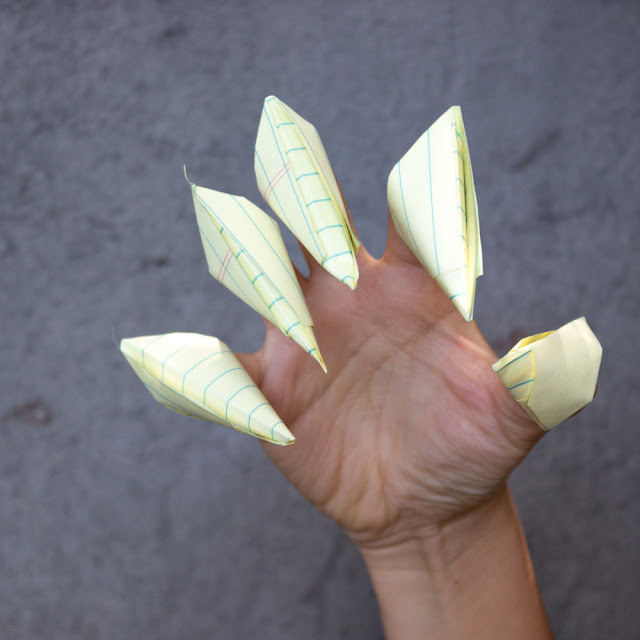 Ever think about making paper claws? Do you have a kid who loves Wolverine, cats, or monsters? Then today's origami craft is for you! We're taking a short departure from my typical uber-cute and colorful origami projects for some more ferocious ones. RAWR! As a mom of two boys, our home is constantly the sight of roughhousing. Both had a blast pretend fighting* with these easy-to-fold claws. So grab two sheets of paper and let's get folding! So, in hopes of bringing a bit of luck to our family (and yours) here's a fun origami craft to ring in 2017. Can you tell that I'm really digging Halloween origami? Last week I shared how to fold a cute origami black cat. Today I'm continuing the theme and sharing how to fold an origami Jack-O-Lantern pumpkin! Are there butterflies fluttering around your neighborhood? We are currently enjoying Spring and all the colorful flowers and insects outside. 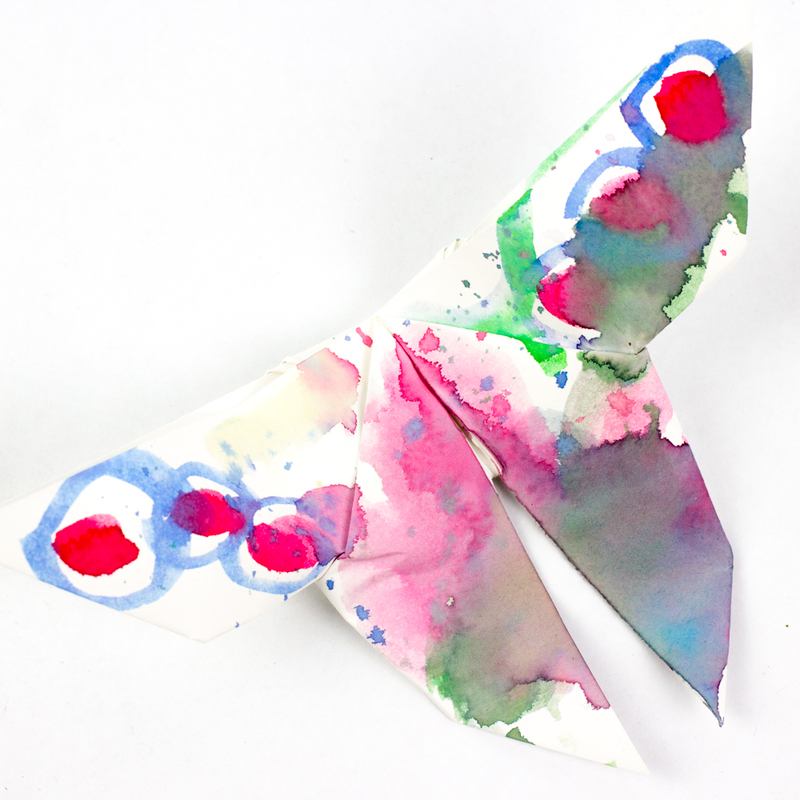 Today's post shares a quick spring craft for all you butterfly and origami enthusiasts. We're making these lovely painted origami butterflies! Hi everyone! Today I'm sharing a really neat origami project based on the movie Trolls! One of my son's best friends LOVES the new Troll movie. We haven't yet seen it, but I have such fond memories of Troll dolls as a kid, that I felt like I NEEDED to do a Troll craft. So tada! 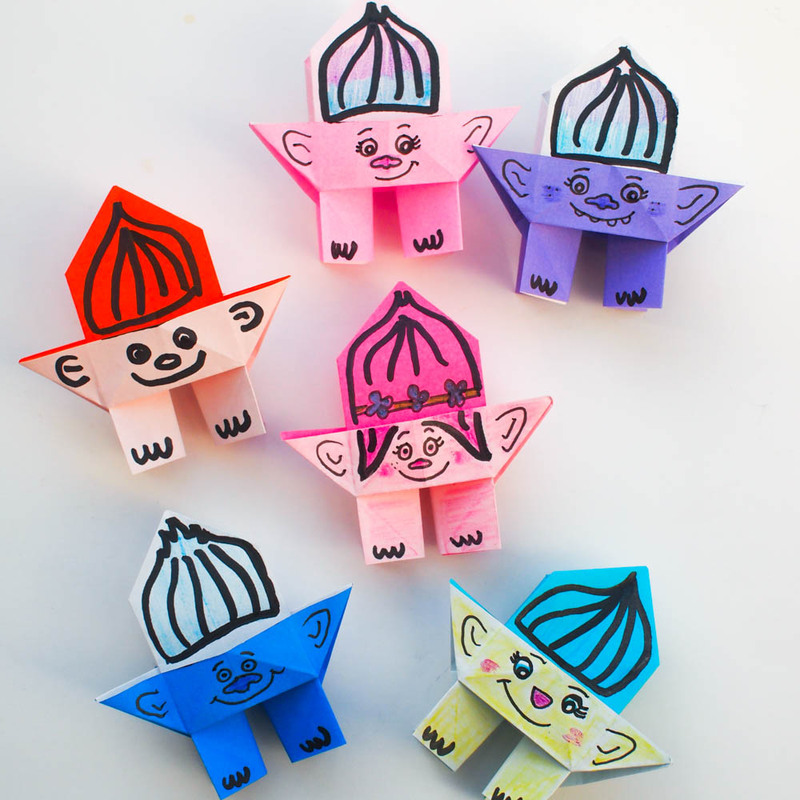 If you love Trolls or the new Troll movie, try your hand at making these tiny paper origami troll dolls! School is right around the corner. Eeek. Are you ready? We're excited and nervous around here to finally be going to "big kid school." Ever since we folded Origami Yoda and Origami Pikachu together, my son's really been into origami crafts. To go along with the back-to-school theme, we recently folded these origami school buses together. So keep reading to see how I made them. Oh yeah. Guess what? I took the plunge and actually shot videos of me folding the paper and explaining my process. I know, I know. Video is a completely new medium to me and I still have a lot of kinks to work out (like how to make things brighter!) But, I think the videos explain the process better than the photos. So I've included them in the post. We've gotten hooked onto Pokemon Go. I kept holding off on the app, but once my husband showed my son.... he fell in love with the little critters, especially Pikachu. Pikachu was always my favorite too, so it was neat to share that with him. We recently made this super easy origami pikachu together. (Oh yes! Another paper folding craft!) 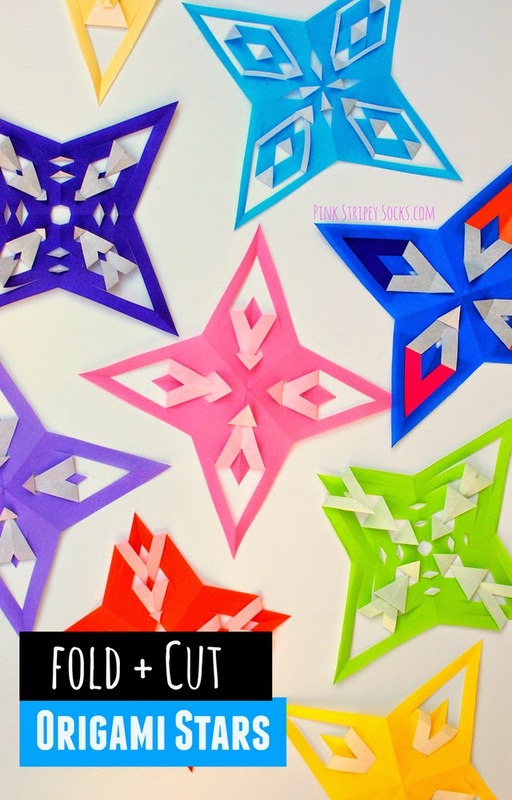 It was such a fun kids craft that I'm sharing the step-by-step folding directions over here! This post contains affiliate links. Thank you so much for the grocery money! For my full disclosure policy, please click here. This past weekend I spent a bit of time figuring out how to make some adorable origami faces. After several failed attempts, I shortened the directions... and voila! I love how they turned out! Sculptural and modern, they are so fun to make and uber cool to display! 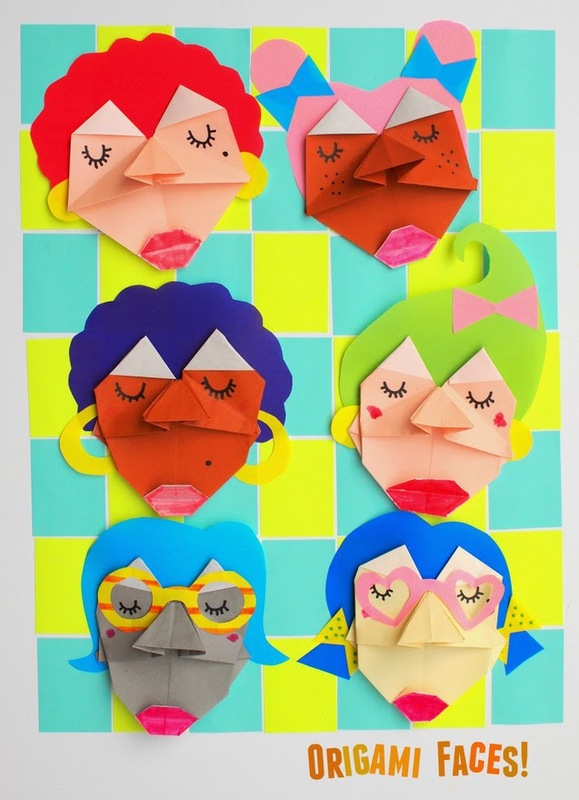 Paper Sculptures- Making Origami Faces with Kids! Ice cream and origami. Two of my current favorite things in life. 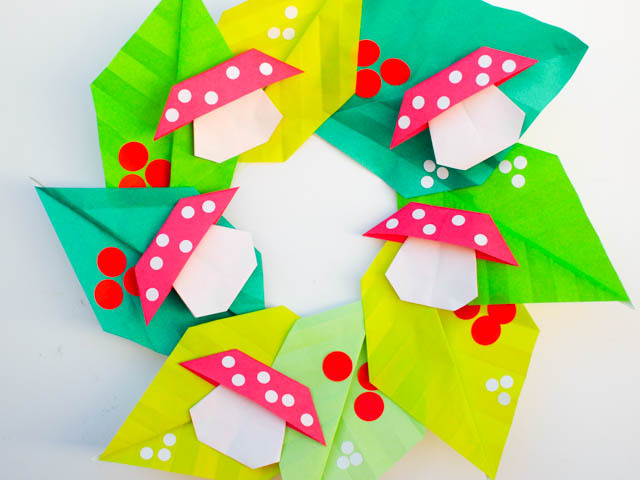 Today I'm sharing a super cute and easy origami and paper craft- origami ice cream cones! 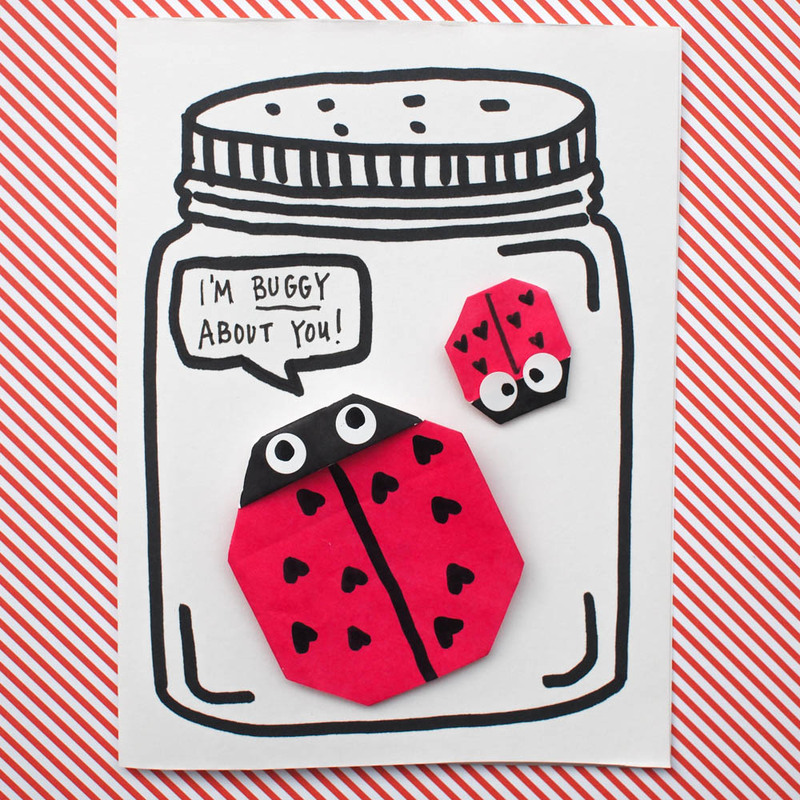 These little guys are super sweet and easy to make. Awhile back I made these super cute Sumo Wrestler bowling pins from plastic bottles. Maybe this makes me a crafting dork, but I still look back fondly at that craft. They were just so quirky and fun! Today I am once again inspired by Sumo Wrestlers. But instead of making them out of plastic.... we're folding them out of ... origami paper! Ever have just a crazy, crazy, week? I'm sure you have... and last week was mine. Chuck was sick the entire week and hubby had to work late hours. So at night I found myself trying to relax by catching up on my favorite shows (currently Brooklyn 99) and folding origami. Yup. I'll hopefully have some cool origami projects (like these origami black cat, origami jack-o-lantern, and origami vampire lips) to show you in the next couple of weeks. I'm not an origami ninja. A lot of times projects just don't turn out quite how I imagined. Lines aren't folded correctly and have to be refolded (again and again). When imperfect projects are finally finished, it always seems like a shame to toss out the paper. So I thought to myself, "Why not turn my old origami projects into art?" And that's how this idea was born!